Alex Miller is president and founder of Esri Canada, the leading geographic information system (GIS) company in Canada, founded in 1984. With more than 400 employees and privately owned, Esri Canada became a Gold Standard winner of Canada’s Best Managed Companies in 2015. In 2016 was named one of Canada’s Most Admired Corporate Cultures. Mr. Miller was a pioneer in transforming geography and mapping into a 21 st century digital tool used by millions around the world. His work has helped people see location as a unifying lens through which land and resources are understood. Having successfully guided a software company for so long, Mr. Miller is constantly in demand from tech startups, helping them address the needs of their future market to ensure their long-term business viability. He’s chaired the Geomatics Industry Association of Canada, the Natural Resources Canada Earth Sciences Sector Minister’s Advisory Committee and was a member of the Government of Canada&#39;s Open Government Advisory Panel. Mr. Miller launched The Community Map of Canada, a comprehensive, freely available map, constantly updated and from authoritative community sources. He’s donated software and expertise so that maps of the longest trail in the world, Canada’s Great Trail, are easily accessed by everybody. 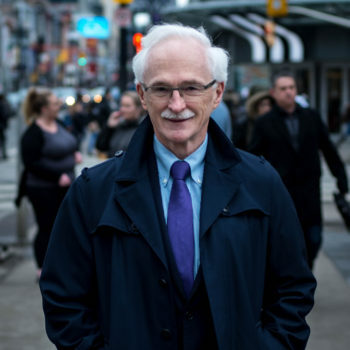 Passionate about using technology to promote environmental sustainability, Mr. Miller is Chairman of the Planet in Focus Foundation, which showcases outstanding film on environmental themes and is a Fellow of the Royal Canadian Geographical Society.